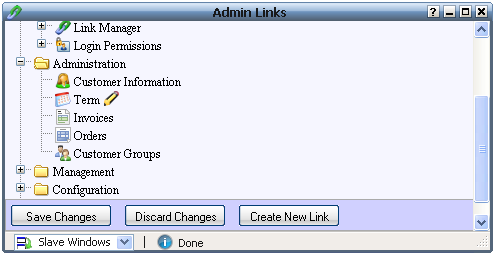 This topic applies to the Admin Links as well as the User Links windows. 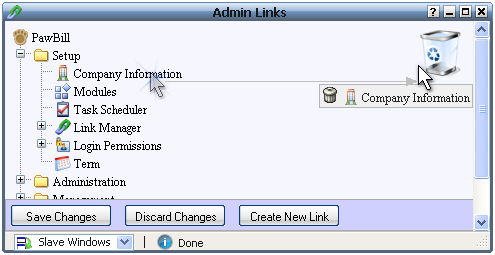 These windows can be used to modify the order of links in the navigation menu and to edit, delete or add links. 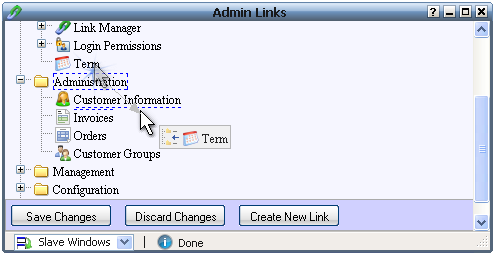 Both the Admin Links and the User Links windows are similar and can be used in similar ways. 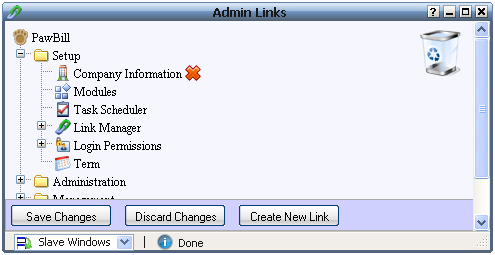 The Admin Links window acts on the admin area navigation menu while the User Links window acts on the user area navigation menu. The Link Text is the text that appears for each menu item. 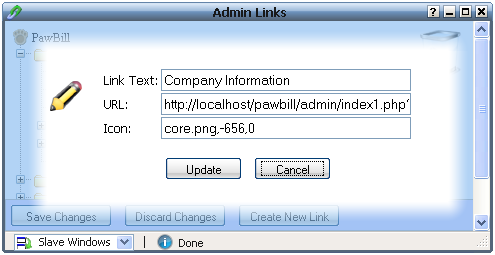 The URL is the URL that is called when you click on the menu item. The Icon can be either just a 16 x 16 pixels image name or can be the image name followed by the left and top offset pixels (all separated by commas) to move the image using the CSS sprites technique to show the icon. 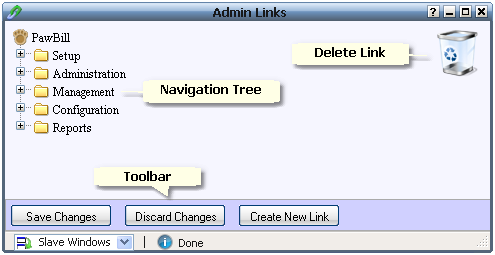 • Discard Changes button: Click on this button to discard the changes made and restore the navigation tree from the server. 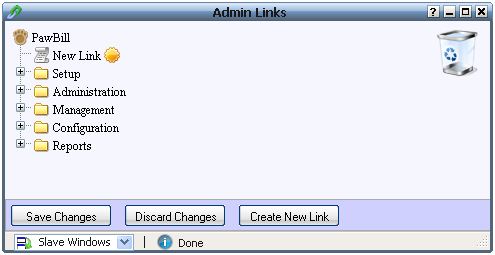 The new link icon next to the link indicates it is a new link that has not yet been saved to the server. 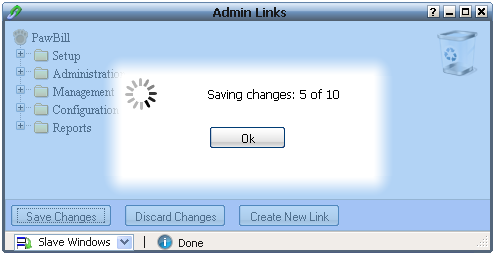 You can reorder it by dragging and dropping it where required and then clicking the Save Changes button to save it to the server.